Each year the National Network to End Domestic Violence (NNEDV) advocates for continued investment in essential programming that serves survivors of domestic and sexual violence. While Congress has passed a short-term continuing resolution, it must finalize Appropriations bills for Fiscal Year 17. Last year’s increases in the Violence Against Women Act (VAWA) and the Family Violence Prevention and Services Act (FVPSA), and sustained funding released from the Victims of Crime Act (VOCA) are only just beginning to address a portion of the gap in direct services for survivors. The investment in these programs must be increased to fulfill the promise of VAWA, FVPSA, and VOCA to meet the demand for services. 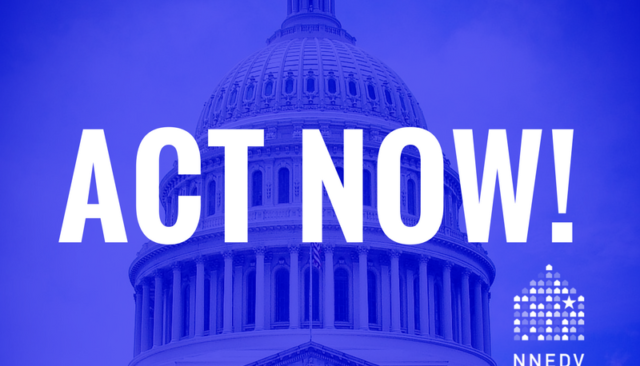 Ask your Member of Congress to show her or his support for this crucial funding by urging investment in federal programs that address domestic violence, sexual assault, dating violence, and stalking by clicking here.